If you’re building your author platform, you want to be where your readers are. Do your readers (or potential readers) hang out on Facebook? If you’re not sure of the answer then take a step further back. Who are your readers? Who are the people you want to engage with, who do you want to know about your writing? Now do some research into the basic demographics of various social platforms. You may be surprised at the findings. For example, the average age of the typical user of Facebook is going up all the time. Take a look at these stats compiled in January this year. Anyway, let’s say you’re pretty sure you need a Facebook presence. From the typical questions I’m asked about Facebook, it’s clear that there’s often some confusion between Facebook Profiles and Facebook Pages. A Page is separate entity from your personal profile. It represents a business or organisation, or something with a commercial purpose. This could be an individual, for example an Author. It could also be an individual Book. A Page is created by a person with a profile, but you don’t have to make this connection public. In other words, you need to have a personal profile to create a Page, but nobody except you and Facebook need know that you are the creator of that Page. 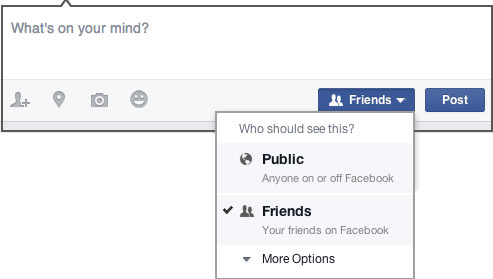 This means you can separate your personal Facebook activity from that of your Page. For example, many people use Facebook to connect with family members and personal friends. At the same time, you might want a Page for a book you’ve written, or for your professional persona. Not all Facebook Friends are going to be interested in your latest gig, and conversely, those who Like your Page probably don’t want to see photos of your niece’s wedding or what have you. 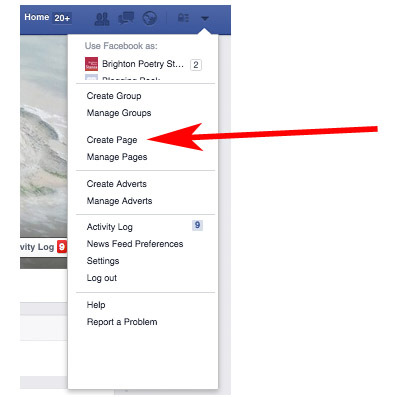 You can create a Page from the dropdown menu on your Facebook profile. Of course, when you create a Page, it’s a good idea to tell at least some of your Friends about it, in order to get some Likes and to spread the word. When people Like a page, they may see that Page’s updates in their News Feed (or not – see below). 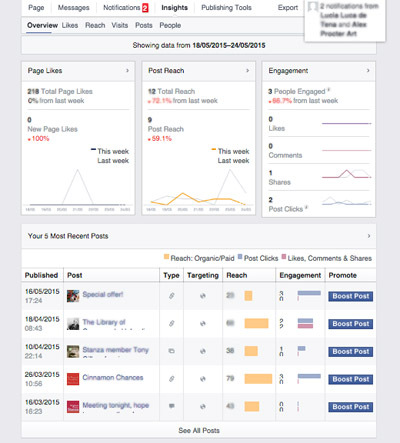 Once you have at least 30 Likes, you can access Facebook Page Insights. An alternative to creating a Page is to allow people to Follow your profile. This means anyone who Follows may see your public updates in their News Feed. But if you do this, then you need to be careful which updates you share publicly. You have this option every time you post to Facebook. It’s important to remember that what actually appears in News Feeds is down to Facebook’s proprietary algorithm, which is regularly tweaked. What you see in your News Feed is influenced by how engaged you are with a Page or indeed with your Friends. If you have Liked a page, or a Friend’s update, that’s one indicator of engagement. But if you have shared an update, or commented on one, or done so regularly, those are also indicators, and stronger than a mere ‘like’. It has also been suggested that some types of content ‘score’ more highly than others – video, for example. Buffer has this useful post on how the Facebook Algorithm works, which they keep updated. If you create a Page and want its audience and popularity to grow, your goals should be not just to garner Likes, but to work on getting people sharing and commenting on your updates. If people ‘like’ but never visit again, your Page will struggle. One way to gain more interest in your Page, more quickly, is to invest in advertising. It needn’t cost the earth – Facebook ads can be as precisely targeted as you wish, and you set your own limits as to what you want to pay.